...or add to your list of old reliables. 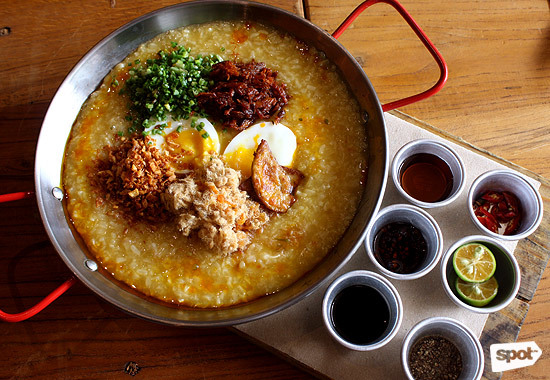 (SPOT.ph) Filipino food will always hold a special place in our hearts. It is home, after all. While we appreciate straightforward cooking styles, we're not about to turn up our noses at restaurants that are trying for a bit of creativity. It's always good to shake things up—especially if the results are worth it. Just in time for Independence Day, we're celebrating Filipino flavors that free themselves from the constraints of tradition—without losing their identity. Chef Justin Sarabia uses his Lola Fidelidad's recipes to fill up 90% of his menu. The rest of it are demonstrations of his own creativity. The young chef knows how to refine lutong-bahay favorites, amplifying their flavors and challenging your loyalty to your own mom's cooking. The adobo might give someone a heart attack. It's a deconstructed pork dish with a trio of sauces. It tastes good and nostalgic, and we love the story that comes with it—the chef ate it for his baon. Rural Kitchen is at 104 Rada Street, Legazpi Village, Makati City. Read more about Rural Kitchen. Chef Mikel Zaguirre uses French techniques to create something that's traditional and innovative. Locavore highlights every good thing about Filipino food: hefty, sharp, and comforting. Whether you're stuffed or hungry, this Pinoy pub will make you wolf down anything that comes out of their kitchen. Their soon-to-open branch at Burgos Circle also features one-of-a-kind takes on Filipino breakfast stapes. Locavore has branches at 10 Brixton Street, Kapitolyo, Pasig City; and Burgos Circle, Taguig City (soon to open). Read more about Locavore. This cool restaurant splits their menu into two "factions." One is for those who lean towards traditional styles, while the other is for the more adventurous palates. By "adventure," we mean corned beef, caramelized patis wings, fusion techniques (Peking fried chicken, Crispy Patatim), seafood swimming in peanut sauce, and Chinese fried rice. 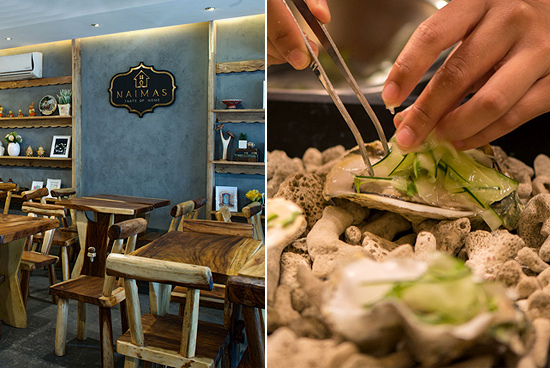 The menu is huge and evolving, which makes Manam such a thrilling Sunday habit. Click here for a list of Manam branches. Read more about Manam. 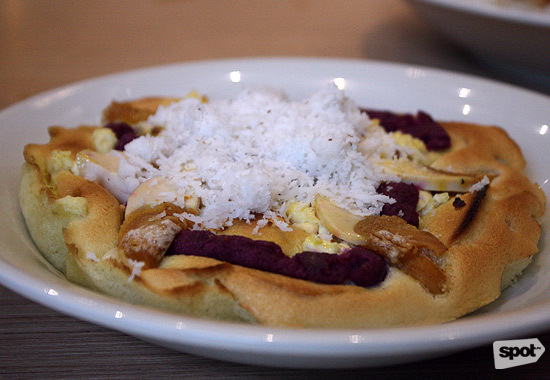 This cafe is a trove for Chef JP Anglo's more playful Filipino creations. 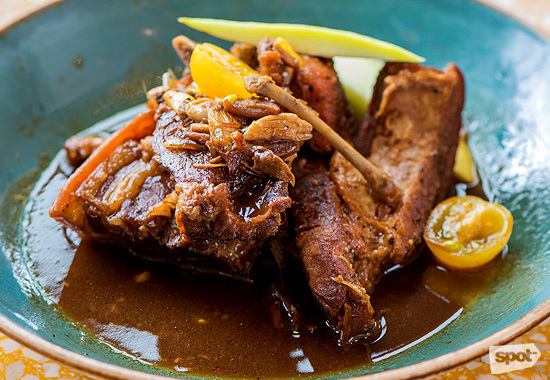 The Sarsa chef showcases a more modern side in Kafe Batwan, where he pushes the limits of Filipino flavors and dares your taste buds to appreciate the unfamiliar (like a sweeter take on batchoy). The best way to orient yourself with Kafe Batwan is to forget for a moment how things "should taste" and just relish all-around good flavor. Kafe Batwan is at 122 Joya Lofts and Towers, Amorsolo Drive, Rockwell, Makati City. Read more about Kafe Batwan. Fun is the first word we can think of when describing Simple Lang. This restaurant laughs at itself by presenting food a la conyo. 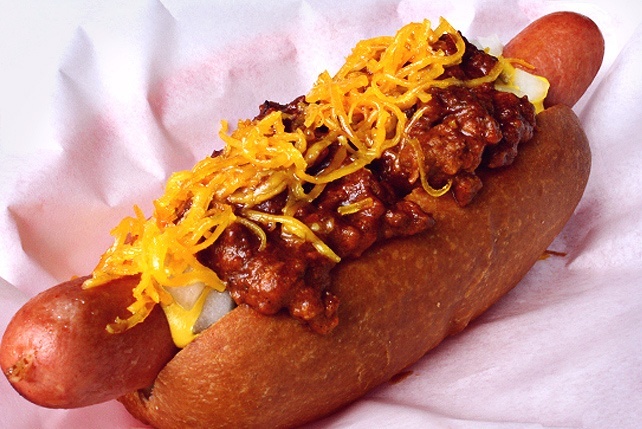 Majority of the menu is based on popular and easy street fare, but they're presented in a way that makes you feel like you have to eat with your pinky finger up. Chef Kalel Chan's reinterpretations lean towards Asian flavors, but nothing is ever unfamiliar here. Simple Lang is at Ayala Triangle, Makati City. Read more about Simple Lang. The dishes at Naimas aren't outrageous. 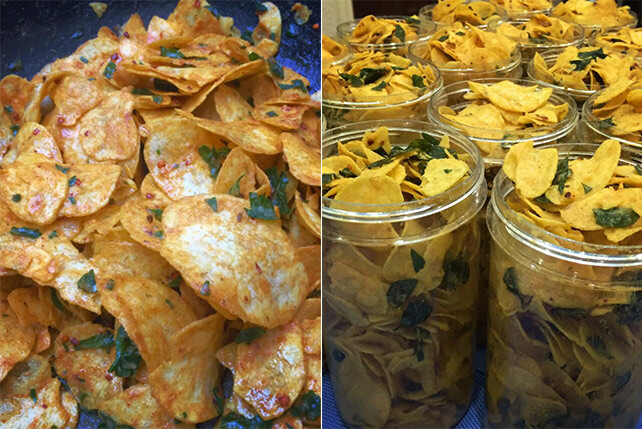 They're classic, but unconventional: Ilocano delicacies that deserve their time in the sun. The owners make it a point to make the flavors taste as authentic as possible by bringing in ingredients from Ilocos. The whole place, with its wood accents and tall windows, makes it feel like you're in a vacation home in the province. What's sweeter about that is that it's smack in the middle of the big city. Wish for a cool day when you visit, because it's fun to sit on the porch. 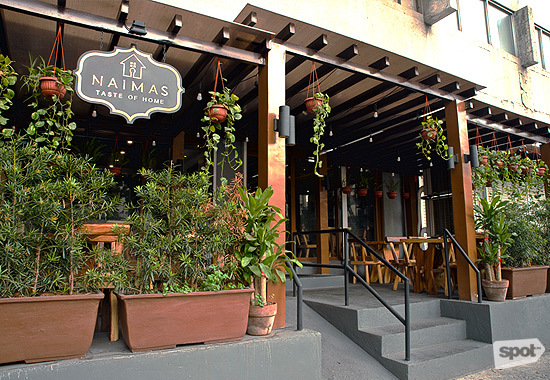 Naimas Taste of Home is at CAP Building, Amorsolo Street corner Rufino Street, Legazpi Village, Makati City. Read more about Naimas. 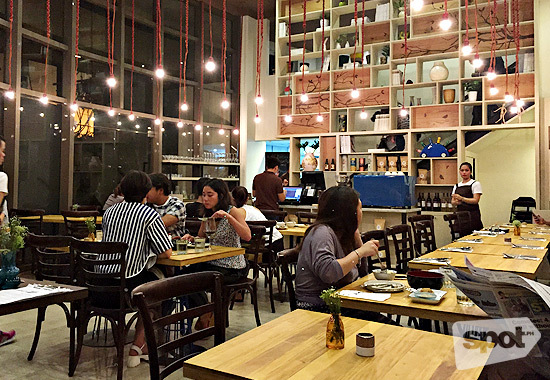 Toyo Eatery is more about the local eating culture than it is about actual Filipino dishes. The industrial-themed spot doesn't look like the usual Pinoy joint, but look closer and you'll see details that are uniquely ours. All the furniture is local and hanging on one wall is a giant pair of spoon and fork. 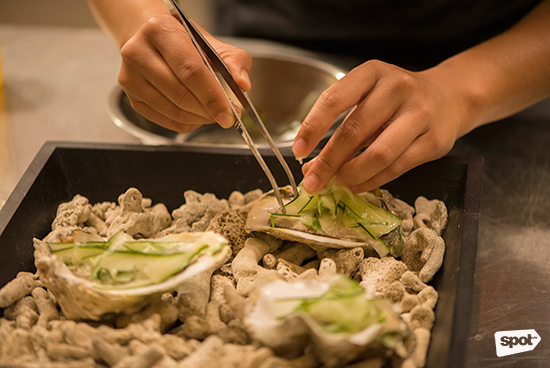 As much as possible, Chef Jordy Navarra uses local ingredients, too. The menu might not be literal, but it definitely feels like home. Toyo Eatery is at Karrivin Plaza, 2316 Chino Roces Extension, Makati City. Read more about Toyo Eatery. 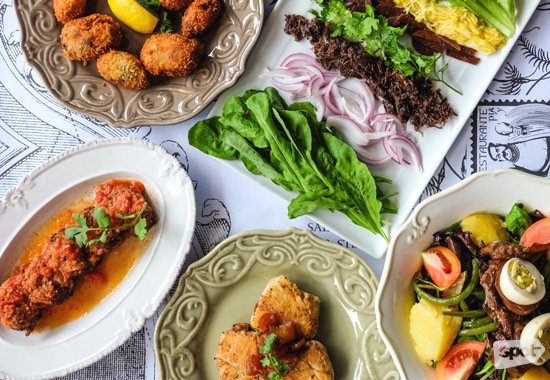 For a restaurant that pays homage to Philippine and European history and is named after an outmoded priest, Pia y Damaso is surprisingly forward. Chef Bambi Sy Gobio refines the rustic quality that Filipino food is associated with, and she uses local favorites more as inspiration. Case in point: instead of just improving on the flavors of taho, she turns it into a cheesecake. This is the kind of culinary creativity you can count on in this enduring restaurant. Pia y Damaso is at 2/F Greenbelt 5, Makati City. Read more about Pia y Damaso. If their legendary corned beef sinigang isn't modern enough for you, we don't know what is. Sentro 1771 keeps things interesting as it tries to balance the traditional and the playful. We love how seamlessly they can insert local flair into Western techniques, like pancakes and crepes (with ampalaya, nonetheless!). This chain may step inside trend territories at times, but their flavors are always timeless. Click here for a list of Sentro 1771 branches. Pamana used to be a destination restaurant in Tagaytay and Boracay. 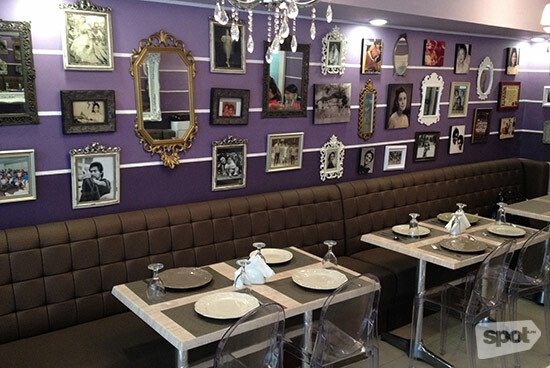 Chef Happy Ongpauco-Tiu takes her cue from the past, decorating her purple haven with old family photographs and film posters, as well as heirlooms from her relatives. Recipes are handed down from generation to generation, but the clever chef knows what to tweak here and there. Where else can you find Filipino-themed afternoon tea? 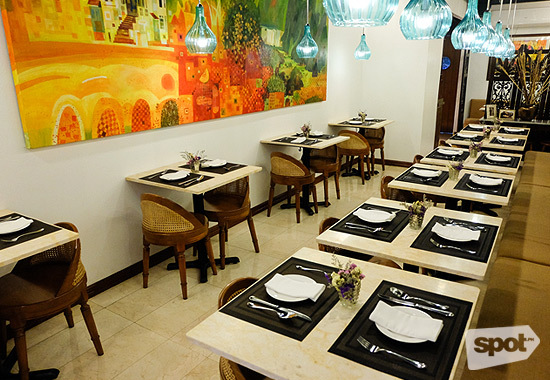 Bistro Pamana is at 106 Perea Street, Legazpi Village, Makati City. Read more about Bistro Pamana.